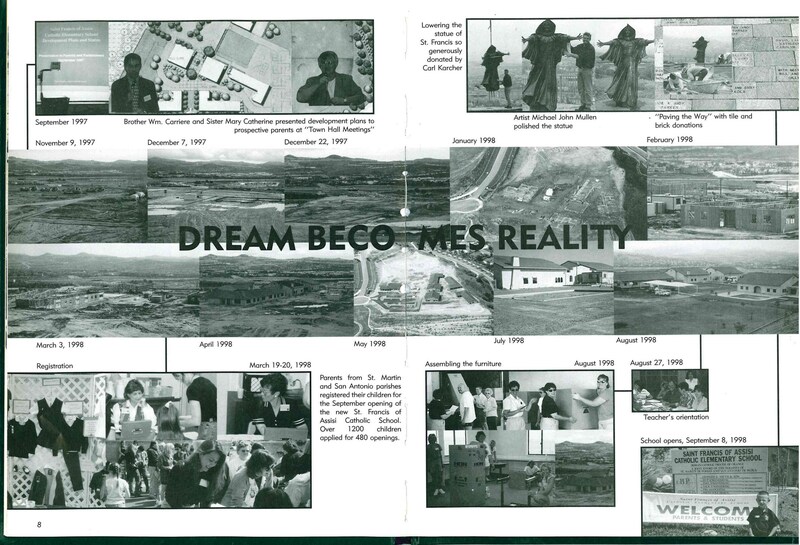 The idea for the building of St. Francis of Assisi School originated in 1994, with diocesan approval coming in December of 1996. 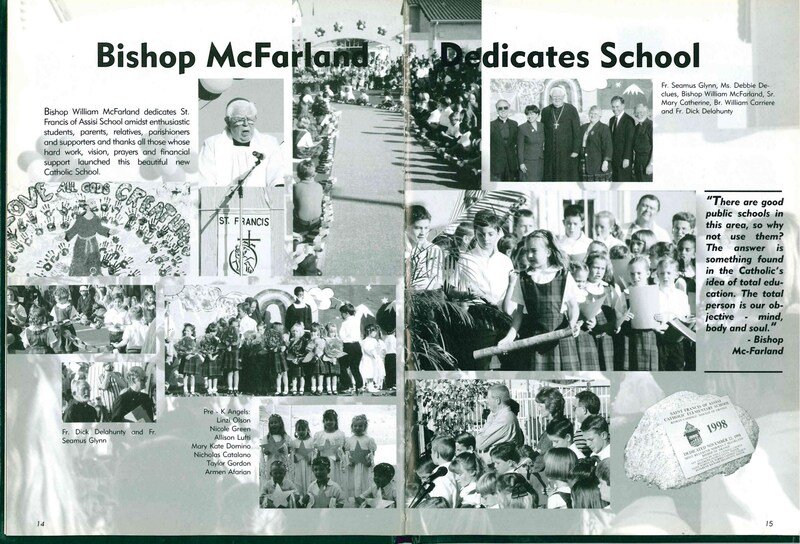 The land for the school was generously donated by the diocese, with the building and construction to be funded jointly by the parishes of San Antonio de Padua and St. Martin de Porres. The school was originally set to open in September 1997. 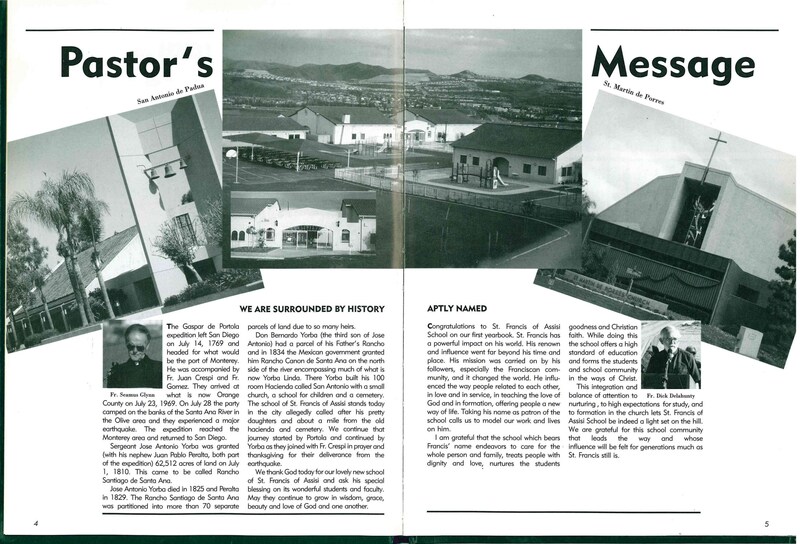 Delays and setbacks pushed the opening out to September 1998, but the enthusiasm and dedication of the two parishes were not dampened. On November 2, 1997, with over 500 people gathered in high winds and 104-degree temperature, ground was officially broken. Future students dressed in the uniforms of their respective schools, symbolizing their gathering from many different communities and coming to the new community of St. Francis of Assisi. The students formed an honor guard for Bishop Norman McFarland. Soil and water were blessed and brought forth from the communities of San Antonio and St. Martin's, signifying the two communities coming together to form this new community. Two students, one from the class of 2000 and one from the class of 2008, took part in the breaking of the soil. St. Francis of Assisi was chosen as the namesake for the school because of his love for God's creation, his renunciation of material wealth, and his work in building up God's church. He had a powerful impact on his world. His renown and influence went far beyond his time and place. His followers carried on St. Francis’ mission and it changed the world. He influenced the way people related to each other, in love and service, in teaching the love of God and in formation, offering people a new way of life. Taking his name as patron of the school calls us to model our work and lives on him. The school, which bears his name, endeavors to care for the whole person and family, to treat people with dignity and love, and to nurture the students' goodness and Christian faith. Early in 2001, Bishop Tod Brown decided to begin developing a new parish because of overcrowding at San Antonio de Padua and St. Martin de Porres parishes. Due to the close proximity of the building site to St. Francis of Assisi School, Bishop Brown chose to name the new parish after St. Clare of Assisi - a close friend and collaborator of St. Francis. 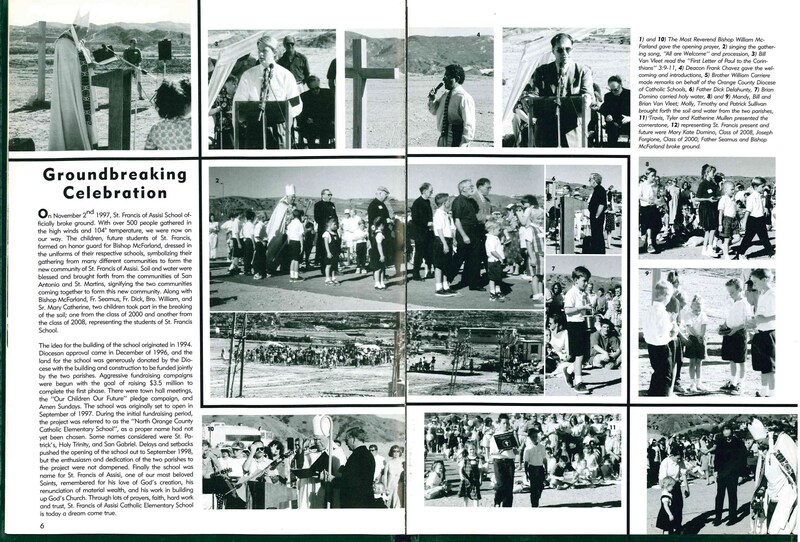 On July 1, 2001, the first mass inaugurating Santa Clara de Asis parish was celebrated at the St. Francis of Assisi School grounds. On March 4-5, 2006 the first Masses were celebrated in their own building, the San Damiano Center. Through prayer, faith, hard work and trust, St. Francis of Assisi Catholic School is today a dream come true. 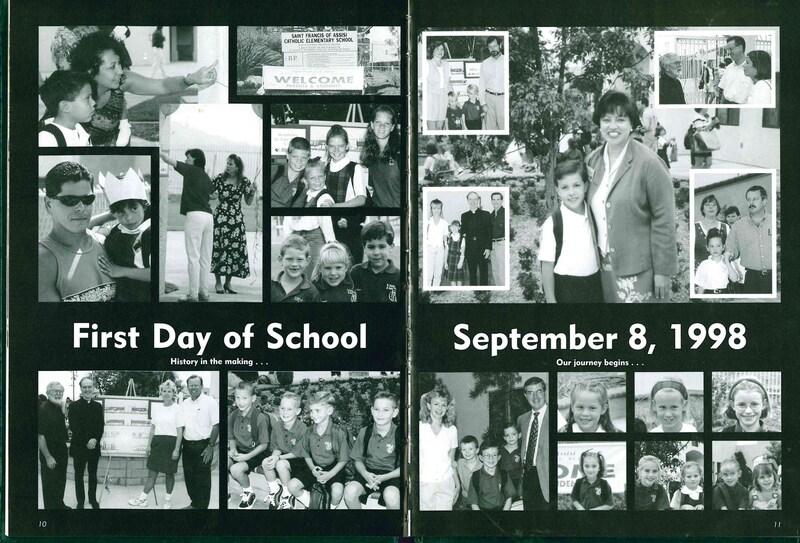 On October 3, 2008, the feast of our patron saint, St. Francis of Assisi School celebrated ten years of Catholic education at our tri-parish school. From our beautiful hilltop location, we look forward to many more years educating students in the fine tradition of St. Francis of Assisi Catholic School.